Many thanks for sending this through. It’s lovely to see them. 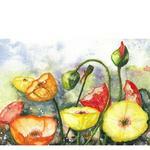 Birthday Flowers - The Perfect Birthday Gift Idea! A lovely bouquet of birthday flowers in a water-filled vox, with a floating Helium Birthday Balloon and a delicious box of Donovan's Chocolate Caramels. 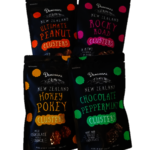 The ideal birthday gift for delivery in Auckland. 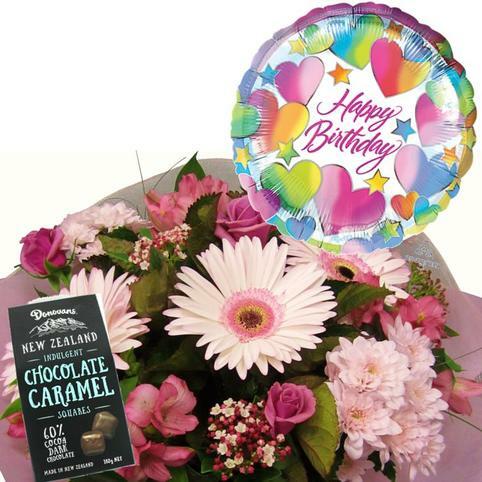 We have a wide choice of Birthday balloons available and will choose the perfect balloon to match your flowers. YES - we can do Age balloons - from 1st, 16th, 18th, 21st, 30th, 40th, 50th, 60th, 70th, 80th, 90th and even age 100 helium balloons! We have a huge range of balloons and can create your package for any aged birthday. 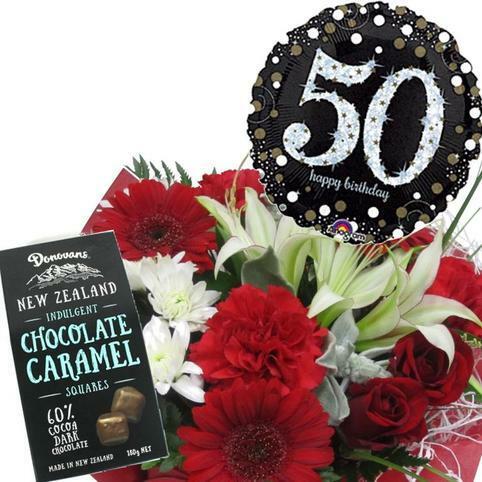 Think 50th Birthday Flowers with that Big 50 Balloon to make them blush, a cheeky 30th birthday gift delivered to her at work, or how about surprise him with a 40th birthday gift that will make him smile. We have also done these a 21st birthday bouquet with the sparkly 21 Birthday balloon which looks fab. Alternatively we have an enormous range of colourful celebration Happy Birthday Balloons which can be co-ordinated with your flowers. Your birthday bouquet can be done in any colour combination - Please advise your colour preference and balloon occasion in the "Notes to Florist" section of your order. 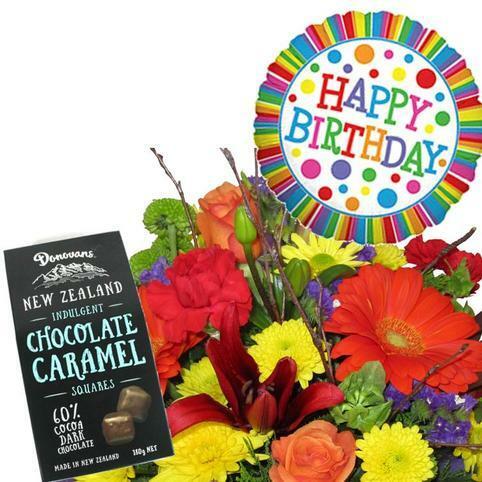 Free Birthday Delivery in Auckland!